Powerful new generation magnetic stimulator. Developed with multiprocessor technology, featuring programmable morphology of stimulation. A polyvalent and innovative system for neurological diagnosis, a complete neurophysiological laboratory. Reliable, compact, light weight, durable and comfortable for your patient. Fully capable of performing high quality conventional EEGs and ambulatory EEG monitoring. EB Neuro is glad to announce the sign of a distribution contract for South Korean market with a new local strategic partner. Thanks to the EU Gateway Program, it was possible to achieve this important and profitable result. Powerful new generation Neuronavigation System for Repetitive Transcranic Magnetic Stimulation (rTMS). 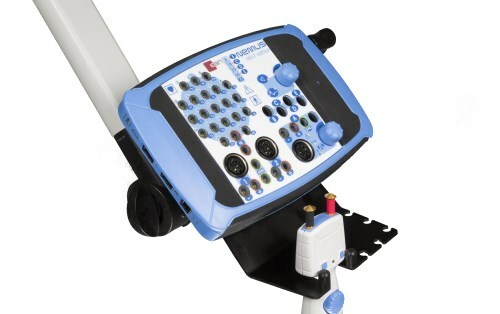 Available in various configurations in relation to the rTMS stimulator used with selection of the desired coil libraries. 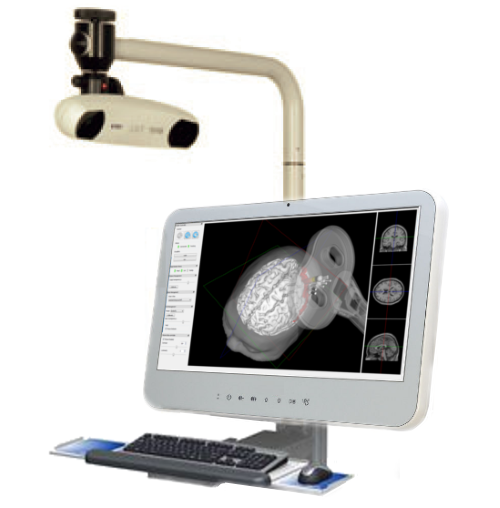 The system is fully configurable to be used in various applications such as Clinical Neurophysiology, Neuropsychiatry, Therapy (Depression, Schizophrenia, Alzheimer), Psychology, Rehabilitation (Stroke), Research Centers, etc. Ask for more information to your EB Neuro dealer! EB Neuro is glad to introduce new software on Galileo NExT platform: a powerful application for Evoked Potentials exams. Available immediately for BE Plus Pro, NeMus and NeMus 2 amplifier families. Evoked Potentials NExT will surprise you with: totally new NExT graphics interface, high quality EP optimized workflow, improved signal analysis options, incredible signal quality and flexibity, higher productivity, professional EP Report and much much more. We are pleased to announce the launch of our new company logo. New released software and products to address high level markets, together with the future new amplifiers style, will engrave over the whole product line our new company identity and brand recognition. 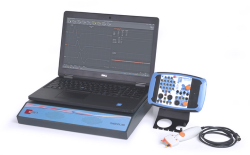 EB Neuro is glad to introduce new version of Galileo EMG.NExT, a powerful platform for EMG/NCV exams. Available immediately for NeMus and NeMus 2, EMG. NExT will surprise you with: optimized workflow, outstanding signal analysis options, incredible flexibility and precision, higher productivity, professional EMG Report composer and much more. Continuous Improvement Process at his best, this is the philosophy behind every EB Neuro product and our new concentric needles make no exception. 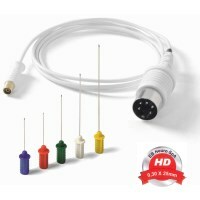 It is only thanks to the continuous improvement in the technological field that is possible to increase the performances of almost every product on the market, as done for our "HD" Concentric Needles. Ask information to your EB Neuro dealer!